July 2016 - Maplewood of Sauk Prairie Your memory. It contains all of your thoughts, life experiences, past events you've attended and names of your friends and family members or even the items that you need to buy at the grocery store. Your memory is the book of your life, past and present, that is kept tucked away within your mind. As we age, it's not uncommon that our memories aren't as good as they once were. However, for some, memory loss can be related to a clinical condition such as dementia or alzheimer's disease. 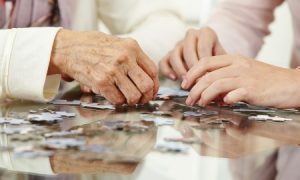 This can be extremely difficult for those that suffer from memory loss as well as their husbands or wives, sons or daughters, or any of their caregivers.